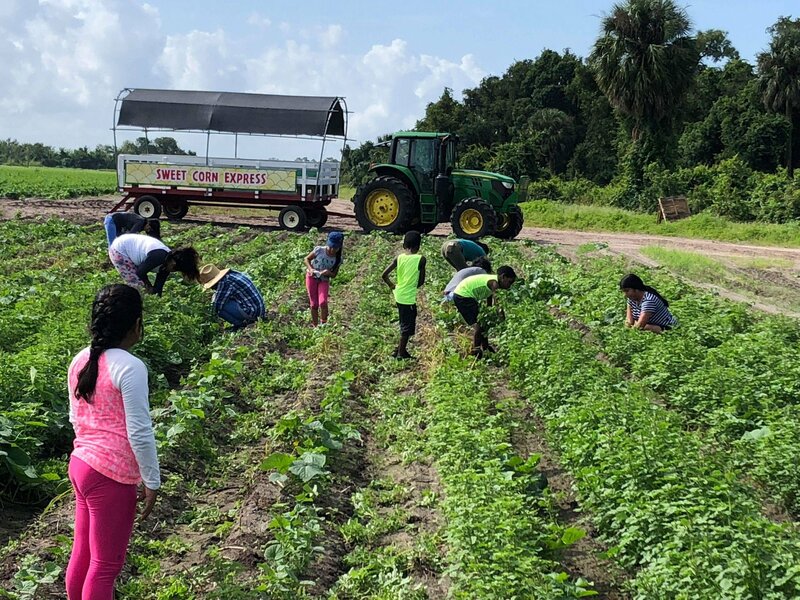 Farmworks, both young and old, work together to collect crops on Florida’s lands. As a volunteer for the Farmworker Association of Florida, my eyes were opened to an abundance of injustices toward the very people responsible for our food system. This includes those who are directly involved with the growing, harvesting, delivering, serving, cooking, and selling of the food that we eat on a daily basis. Millions of food workers around the world are not paid an income that satisfies a minimal standard of living. Information regarding these workers and the conditions under which they toil is promoted during the International Food Worker Week (IFWW). I have learned that there are over 3 million migrant workers providing us with our food. The migrant workers make next to nothing for harvesting bags weighing over 90 pounds, as each bag may get them 84 cents and could take over an hour to fill. Farmworkers work extremely long hours without appropriate and well-deserved breaks. Farmworkers have to wear masks and gloves, which they usually have to provide for themselves, despite their meager incomes. They are exposed to high amounts of pesticides and heat, which result in many health risks with effects that are carried on through multiple generations. They are not provided with sustainable living arrangements, and most of the time, farmworkers and their families live in just one room. The farming corporations responsible for these workers clearly value profits over their duty to care for their employees’ well-being. I heard stories about people who live in constant fear of not being able to ask for a raise, water, or break because, in their minds, they are easily replaced. There are many instances in which a farmworker calls in sick and then is not allowed to return to work. My heart breaks when I hear these stories. This is why IFWW is such a valuable week. More people should participate and join together to spread this information. This year the seventh annual IFWW, which is organized by the Food Chain Workers Alliance, will be held from Nov. 11 to Nov. 18. IFWW is customarily held around Thanksgiving to be able to gain more respect and symbolize the importance of the people who work in our food system. The purpose of this week is to continuously thank all of those involved, such as farmworkers, food packers, processors, transporters, servers, and kitchen workers. As a society and a community, we must honor IFWW and show our deepest gratitude to the people we depend on for our daily sustenance. We must celebrate, learn about, and be thankful for all their contributions. To do that, we must take action by learning about the roles of farmworkers and the challenges they face, as well as promote corporate responsibility and food sovereignty. During IFWW participate in events, read the information about the wages and the working environments, and connect to the people that are responsible for ensuring that you are fed regularly. Most of all, thank a farmworker!